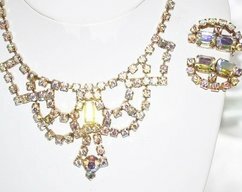 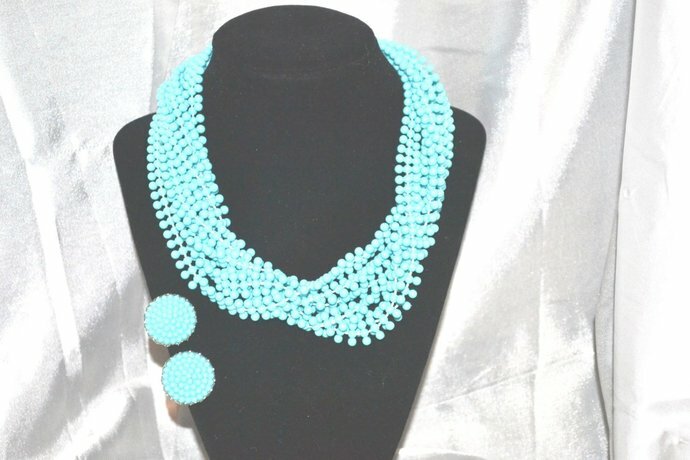 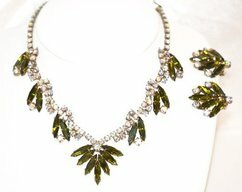 Vintage unmarked torsade style necklace 16+" with matching earrings 1"
Very fun beaded choker style torsade with matching earrings. 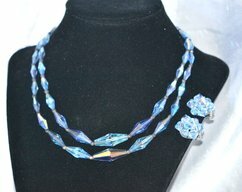 Blue tending to aqua color three bead formed plastic beads on six strands all captured by silver tone findings with a fold over clasp. 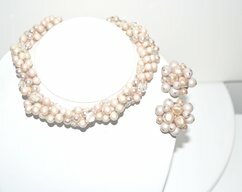 The matching earrings, while they appear to be many beads, are simply one molded piece on clip backs.